A web content management system (CMS) allows users to author content onto the internet, using collaboration, and administration tools designed to allow users with little knowledge of web programming languages or general markup languages to create and manage website content with relative ease. 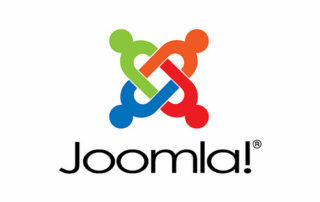 Many systems currently exist from Joomla, Drupal and WordPress to name but a few. A robust Web Content Management System provides the foundation for collaboration, offering users the ability to manage documents and output for multiple author editing and participation. Most systems use server side caching to improve performance. This works best when the content is not changed often but visits happen regularly allowing websites to load quicker and with the need to continually access the back-end database. Most systems use a content repository or a database in SQL format to store page content, metadata, and other information assets that might be needed by the system. The administration is also typically done through a web browser-based interfaces so a CMS allows non-technical users to make changes to a website with little training. It typically requires a systems administrator or a web developer to set up and add features, but it is primarily a website maintenance tool for non-technical staff.